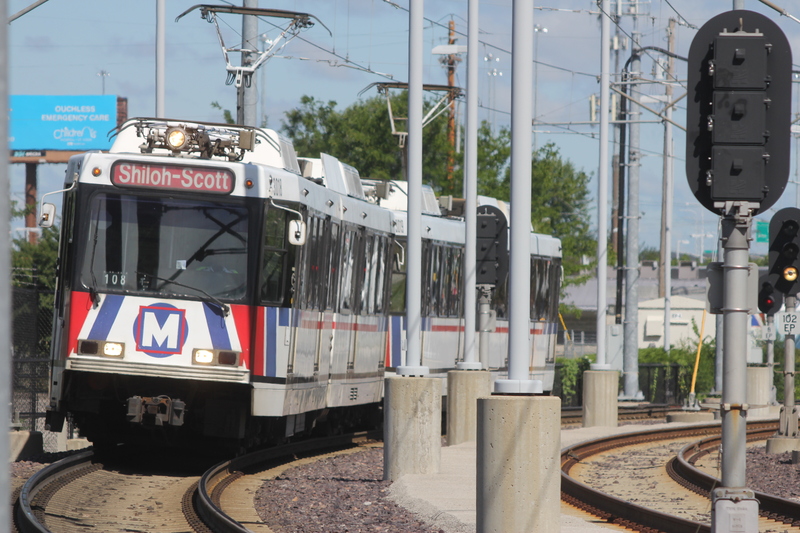 Customers are encouraged to allow extra time for their evening commutes next week as maintenance work on the MetroLink system may result in delays for some Red Line passengers. To accommodate crews, MetroLink will operate on a single track at the College MetroLink Station and Shiloh-Scott MetroLink Station. In addition, the 8th & Pine MetroLink Station will temporarily close on Sunday morning (May 31) to accommodate the movement of large air conditioning units near the vicinity of the station. On Tuesday through Friday (May 26-29) and Sunday (May 31) from 8 p.m. until end of service, regular Red Line MetroLink service will end at the College MetroLink Station. Customers who normally park at the Shiloh-Scott Station are encouraged to park at the College Station on the affected dates to avoid delays after 8 p.m. Eastbound passengers wishing to travel to the Shiloh-Scott Station will need to get off the Red Line MetroLink train at College Station and board a Shuttle Train to continue to the Shiloh-Scott Station. Eastbound passengers traveling from College Station to the Shiloh-Scott Station may encounter delays of 5 to 10 minutes. Westbound passengers at the Shiloh-Scott Station will need to board a Shuttle Train and ride to College Station where they can board a westbound Red Line Westbound passengers traveling from the Shiloh-Scott Station to College Station may encounter delays of 20 to 25 minutes. On Sunday (May 31) from the beginning of service until 11 a.m., the 8th & Pine MetroLink Station will be temporarily closed. This closure is necessary to ensure the safety of Metro passengers and employees as large air conditioning units are moved near the station during this period of the morning. Passengers traveling to downtown St. Louis that morning are encouraged to use one of the four other MetroLink stations serving the downtown area: Civic Center, Stadium, Convention Center and Laclede’s Landing MetroLink Stations.